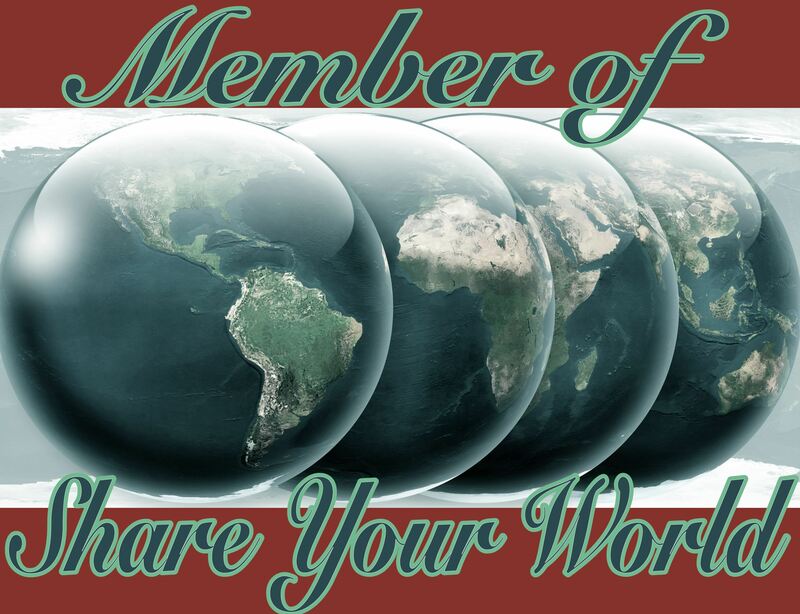 It’s Sunday, which is the day I write my contribution to Cee’s Share Your World. Crumbs. I don’t know. Maybe I haven’t learned anything? I suppose, that life happens. It can be shaped somewhat by your decisions for better or worse, but by and large it trundles along and it’s best to just go with the flow. Some people shape the destinies of many others, but I prefer the path of least resistance. I’m happier that way. Netflix. Ha ha ha. No, seriously. Netflix. And nice walks around pretty locations. I haven’t been on an aeroplane for years, but I used to travel a bit for work. I suppose it was my flight to a job interview in Cork (Ireland). The weather was pretty bad. We circled for hours, then diverted to Shannon and landed. We stayed there long enough for a pint of Guinness, got back on the plane and finally arrived in Cork. The best bit was that I was so late there was no time to give my presentation (they’d been tracking me through the day and finally cancelled it) and we ended up having the interview in a very expensive hotel over dinner. And I got the job! Then I spent the weekend there, because it was cheaper to get a longer stay including hotel than the air fare there and back the same day. I’d like to go to Central/South America and explore all the old Inca and Aztec temples and whatnot. They look quite impressive, though I would also get kidnapped and held for ransom, I expect, as that happens to everybody in films who go exploring such places. Crumbs. Is that a swear word? I watch a film now and then, but I’m more into the box sets. A lot of the programmes I enjoy either never made it over here or I missed them (like “Continuum” or “Grimm”), or they showed a couple of series and then decided it was too expensive to keep buying them (like “Once Upon a Time” – we only got series 1 and 2). Very nice! I enjoyed reading this. I choose the path with less resistance too. LOL. I have a question, do you get a copy of the links that are linked into InLinkz for your Sunday Photo Challenge? If you do, will you delete my second link? I messed up on the title on the first one and it wouldn’t link so I had to redo it using the messed up title to get it to link. Then I found out I could go in and correct it, so I did. Now, the second link with the messed up title isn’t linking and the first one is. Sorry for the trouble. Glad you liked my answers! You have the wrong “Al” I’m afraid 😦 I remember thinking “hey, that dude has the same name as me!” I think (not sure) you want the Al from kattermonran.com. Oh! I thought you were Alistair Forbes! I am so sorry, but I honestly thought he was you. Now I REALLY don’t know who he is. LOL! The ruins of their temples look like great sites to explore and photograph. we dont have netflix but I hear it is coming. Great job interview story! Yes, I just read an article when I saw your comment, discussing whether Netflix will be able to usurp your existing streaming services. We shall see! Watch out Machu Picchu. Here comes Dr. Ali. I’ve thought climbing up to there would be awesome, then travel down to Patagonia. Highest to lowest. Hope you make it kid. That sounds good. I’d have to get fitter though if I wanted to go climbing. What would I like to explore? Everything! One of my favorite things to is is explore. Not just exotic places, but any place. As in: Oh there’s a path, road, hill, lake I’ve never see before. Where does it lead? What’s on top? What’s round the corner? Let’s go see. I inherited the gene from Mom. When we’d go on a road trip she’d see something interesting and we had to stop to check it out. Then on the way home, we took a different route because there was more to see. That sounds like fun! Just when I think it’s time to turn back, sometimes I keep going just to see what’s round the next corner.